Yesterday was Mothers Day, but for me it was just another day. It was the first Mothers Day of my life without my mother, who died last June 1st from brain cancer. I didn’t feel particularly sad, just a little empty. But I passed the day pleasantly, spending some time with the DH, baking (and eating) pumpkin bread, listening to podcasts and an audiobook on my iPod, and, of course, knitting. sleeve number two, which is lying on top of sleeve number one, is nearly completed. Once I cast the second sleeve off the needle, I shall begin the odious task of seaming up the sweater. 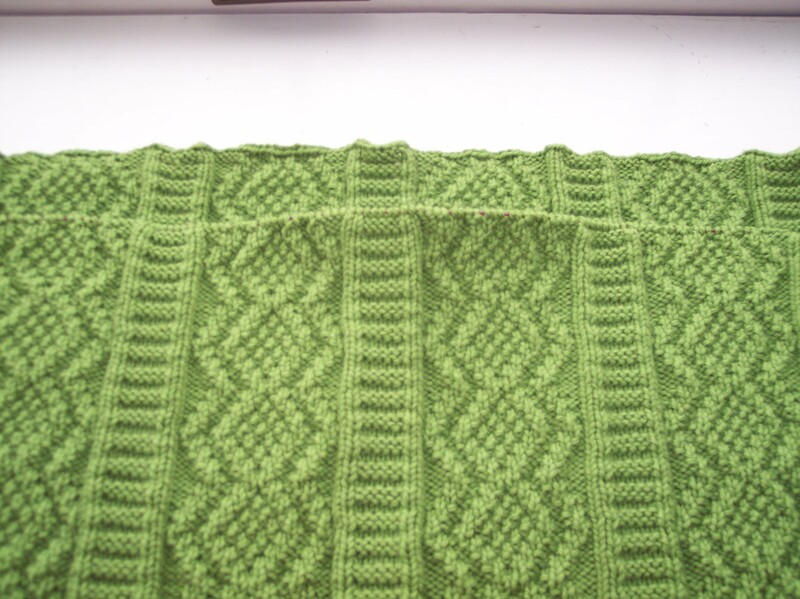 When I started the sweater, I planned for the seaming by adding two extra stitches to each piece, one at the start of the row and one at the finish, and made a stocking stitch selvedge for seaming with mattress stitch. I like having a selvedge to work with because then I don’t have to fool around with pattern stitches. I’m hopeful the stocking stitch selvedge will make seaming a little easier. 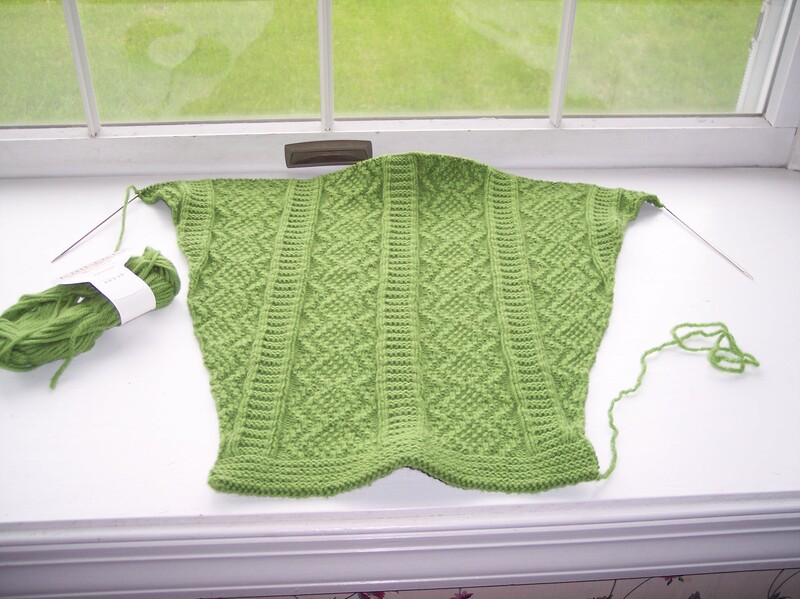 Gjende, which needs the armholes cut, the sleeves sewn in, and the neckband knitted. The Black Hap Shawl based upon the Black Circular Shawl in Sharon Miller’s Heirloom Knitting, which just needs the loose ends woven in, then a wash and block. The Orkney Pi Shawl, which needs the knitted-on edging finished.